Once again I find myself deliberating and mulling over the pros and cons of preaching the lectionary. The alternative is more ‘series based’ preaching. I like the ideas of a preaching series and I will probably be doing one shortly on how to live out the fifth part of the membership question, ‘witness’. I’ll entitle it something like “Witness for Dummies” or “The Idoits Guide to Witness and Evangelism” or “Church Marketing Meeting” or something that will probably offend the dummies and idiots that come hear it (haha…okay not that funny). I have been reading Adam Hamilton’s book “Leading Beyond the Walls” and in it he sketches out how he does his sermon prep work. He plans out his year of preaching during the summer and then the Worship Team comes together and helps put the worship services together. I like the idea but having a “worship team” would help a lot. We have one but at the moment we choose hymns once a quarter. It is not like I have paid staff that meet weekly to do this. Adam professes that he starts at the human condition and then goes into scripture. As he figures out his sermon serieseseses for that year he is in prayer about what his congregation needs to hear. What do they need from the sermon time? What kind of Word do they need from God? He starts there (in prayer) and then goes to the scriptures and finds places that can help with this. This is logical and we cannot negate the impact the Church of the Resurrection has had in that part of the world and in our denomination. The growth COR has had is largely because of Adam’s preaching, so there is much truth in it. Then, while changing the oil in my car yesterday, I was listening to Bishop Will Willimon’s podcast where he quoted Tom Long saying “the most monumental move in homiletic in the last three decades is the turn to the listener or the worry about the listener.” Willimon goes on to say that to be prophetic preachers “We need to love our congregations less and love God more.” The test for what we are to say and hear in worship is God not the North American idea of who God is supposed to be or how God can work in our lives. He essentially states that to be truly prophetic we need to stop worrying if anyone gets anything out of our sermons and simply preach the Word of God. Then my mind drifted to another podcast I listen to, Rob Bell and his congregation. He started his congregation by preaching his way through Leviticus. Mars Hill is thriving. They just got done preaching through the Sermon on the Mount and now they just finished the book of Jonah. I think this is a great model that is not lectionary but not also listener driven. 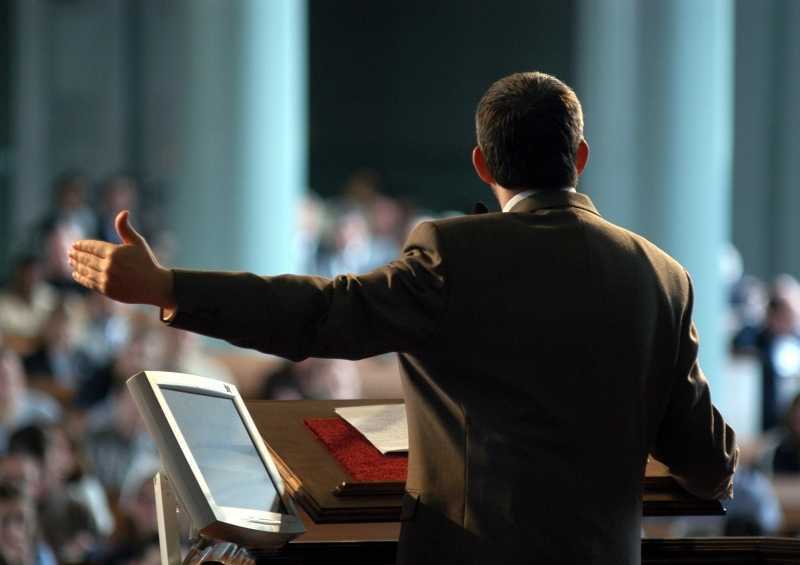 Who starts a new congregation by preaching Leviticus? That is insane! As all this pinballed through my head I realized where the answer lies. There is something we can learn from it all. As I look ahead and see what I will be preaching in the future I want to try a sermon series and to preach through an Old Testament Book. I love the lectionary though and I have not even begun to close in on all the facets it holds as well. The truth is God can speak through all of these modes. What really needs to happen is every week, every single time I step behind that pulpit, I step out of the way and become transparent. Through prayer, hard work, study, and more prayer, I step outside of myself and let God speak through me. When that happens preaching is done. Where is God stirring your spirit right now? Where are your passions being aroused? Preach on those things, my friend. God is speaking to you, I am sure… preach… preach… preach. I think you and I are in the same places on a lot of things. At least, we listen to the same sermons and read the same books. I've preached sermons using a “personal needs then the Bible” approach. I just don't like those sermons when I'm done with them. I keep trying them again because I'm not in love with my other sermons either. I know why Moses told God to go get Aaron to speak for him. Keep struggling. God put that burning coal to your lips for a reason. Who exactly is the “North American God”? Allan and John, thanks for the comments and yes that is my conclusion, go where being stirred. My lips are on fire and ready to go! TeacherLady: see future post for answer.